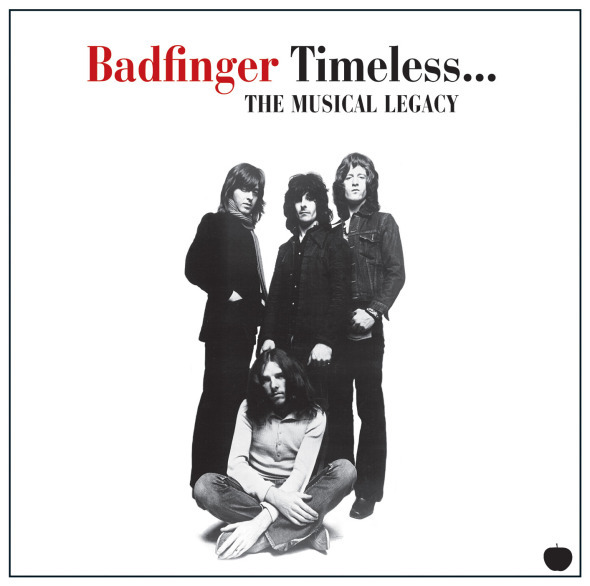 Courtesy of Apple Records, we are pleased to announce the forthcoming release of a new best-of compilation from Badfinger – 'Timeless...The Musical Legacy'. The album features 16 tracks from British rock band Badfinger, label mates of The Beatles on Apple Records in the 1960s. This best-of compilation features worldwide hits including ‘Come And Get It’ which was written and co-produced by Paul McCartney. This new release combines the very best of their catalogue with fourteen recently remastered tracks from 2010, together with two licensed Warner Music tracks - all brought together on one set for the first ever time. The timing of this release coincides with the DVD/Blu-ray release of the final series of the award winning TV series Breaking Bad. The track ‘Baby Blue’ (taken from the 1971 album Straight Up) was used in the closing scene of the final episode of the hit series – which recently launched the track into the top 20 on iTunes the week it aired.